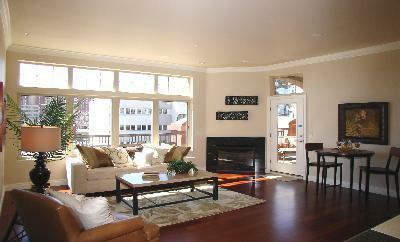 Piranesi Lofts are perfect for relaxing and entertaining! 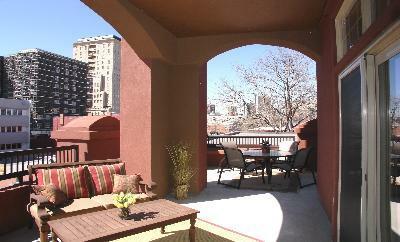 Put your feet up on your own balcony or choose between two rooftop decks to hang out with friends and family. 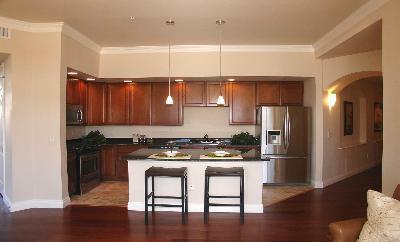 Interiors have mosaic tile, granite, cherry kitchen cabinets and stainless steel appliances. Exterior post-modern architecture compliment 9-foot ceilings and an open living room, bar area and kitchen. Units are extremely spacious. 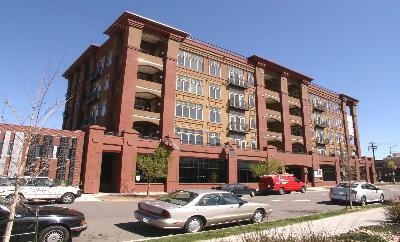 Individual lofts range from two to three bedrooms (1,260 to 1,590 square feet). Units are wired for surround sound, CAT-V, multiple phone lines and individual alarm systems. Secured parking is available for residents. Property is situated in a truly cultural neighborhood with the Denver Museum of Art, Colorado History Museum, Ellie Mae Calkins Opera House and the Denver Center for the Performing Arts complex. But that's not all, residents can take a stroll on the Cherry Creek Trail or catch a good game at one of the local sporting venues. Location: 1120 North Delaware St.